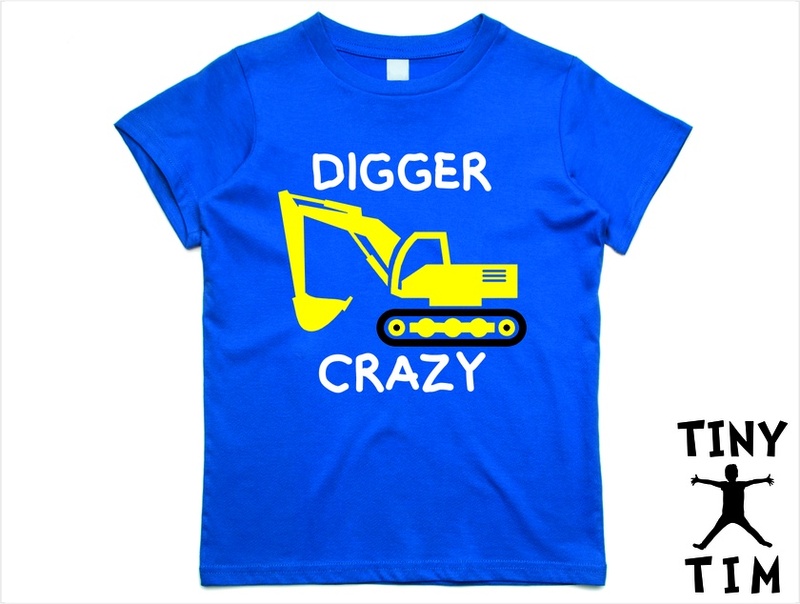 Custom Made "Digger Crazy" T-Shirt For 2, 3, 4, 5 & 6 Year Olds By Tiny Tim. 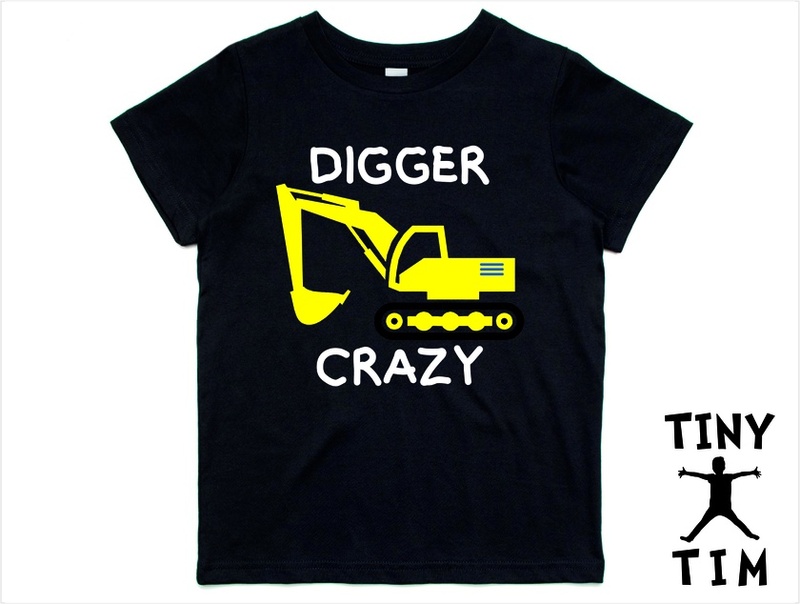 "Digger Crazy" T-Shirt For 2, 3, & 4 Year Olds By Tiny Tim. 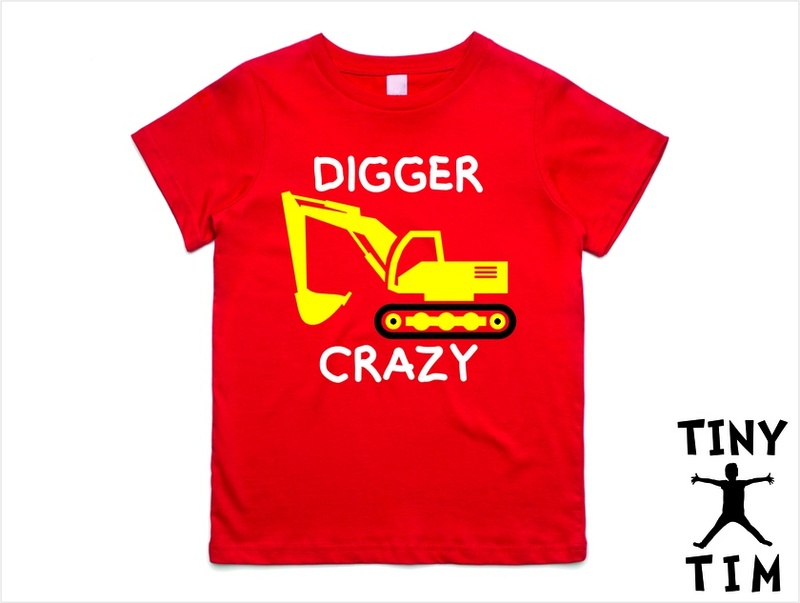 This Digger Crazy T-Shirt is a perfect gift for those kids who are Crazy about Diggers! 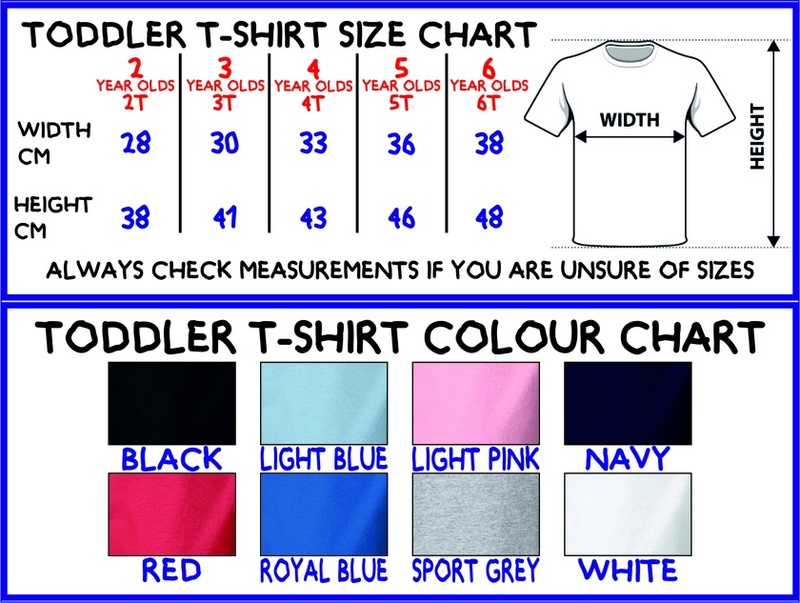 Just Let Us know the Colour and Size of T-Shirt you want and we will make you a cool creative T-shirt for that special Digger Crazy Child in your life! Black, Light Blue, Light Pink, Navy, Red, Royal Blue, Sports Grey & White. Refer to the size chart picture for measurements. White, Yellow and Black Bold Vinyl Graphic. INSTRUCTIONS: Please clearly state in the comment box on the checkout page the size and the colour of the T-Shirt you would like. NOTE: As this item is custom made it is made to order. Please allow up to 7 working Days for Delivery (Excluding weekends) and as the item is custom made it can't be returned.